Baker Love Lawyers’ flat fee Social Media Policy Packages: Use social media with confidence and reduce risk to your business. Social media has the power to accelerate business growth, but there are legal pitfalls and hidden workplace obligations for you and your employees. Our news headlines are filled with stories about how social media has transformed business by improving client/customer engagement, building new business and accelerating growth. Alongside these are cautionary tales of rogue usage, online bullying, and gotcha moments that have the potential to damage profiles and relationships, or worse. If your business engages in social media, you need a social media policy outlining usage and expected behaviour from employees in terms that reduce your risk and protect your staff – a policy drafted to meet your obligations under relevant laws, such as the Fair Work Act, Workplace Surveillance Act, copyright and defamation laws. Many businesses encourage engagement with their staff and customers on social media as part of their marketing and communication strategies. Social media policies drafted by experts in employment and intellectual property laws can guide proper usage and help protect your business from negative consequences resulting from deliberate or inadvertent misuse. Baker Love Lawyers offers flat fee Social Media Policy Packages. Contact us for details. 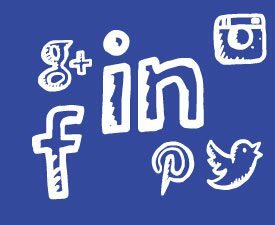 If you would like to contact us about a Social Media Policy for your workplace, call Emma Wolfenden, commercial and employment lawyer at Baker Love on (02) 4951 5766, or contact us here. Online public shaming: Fair game or misdirected blame? Who owns your ‘LinkedIn’ profile – you, or your employer?